Home > Features > Multiculturalism: Are we there yet? Multiculturalism: Are we there yet? The upcoming Assembly in Perth marks 30 years since the Uniting Church committed to being a multicultural church. Rohan Salmond explores how far we’ve come and where we are going. Thirty years ago Calvin and Hobbes first appeared in newspapers, the Nintendo Entertainment System was launched in the United States, the wreck of the RMS Titanic was discovered and Live Aid concerts raised money for Ethiopian famine relief. 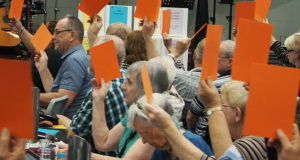 The Uniting Church, formed only eight years prior, gathered for what would become its historic fourth Assembly meeting in Sydney. 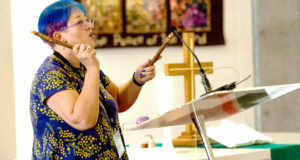 In response to rapidly-changing social demographics, the Uniting Church formally adopted the We are a Multicultural Church statement, declaring that “The Uniting Church seeks to be open to changes that the Holy Spirit will bring to the church because of the creative contributions of people of different racial and cultural groups to its life.” (Paragraph six). It’s a wide-ranging statement, encompassing everything from multiculturalism in the Basis of Union to the use of property among Cald (culturally and linguistically diverse) groups within the church. Thirty years on it continues to shape the life of the Uniting Church, providing guidelines for growth and a goal to which to aspire. David Busch, multicultural project officer for South Moreton Presbytery, was at the 1985 Assembly meeting, reporting for Journey predecessor Life and Times. “It was a profound change in emphasis in the church,” says David. “A lot of people who were there had been in the constituent denominations through the 60s and 70s, and outside of Sydney and Melbourne those constituent denominations were vastly, dominantly white and mostly middle class. The Uniting Church was still finding what was distinctive about its character. Since that time, the Uniting Church has made a lot of ground in its commitment to multiculturalism. National conferences for many Cald groups meet regularly, including Indonesian, Korean, Tongan and South Sudanese meetings, among others. 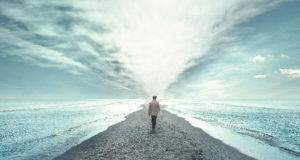 The church has expounded upon the 1985 statement as well: A Church for all God’s People in 2006 and One Body, Many Members in 2012 examine the call to be a multicultural church in much finer detail. 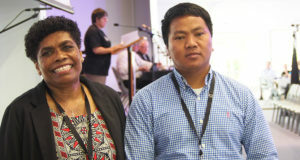 Deaconess Terani Lima, chair of the Multi–Cross Cultural Committee in the Queensland Synod, is thrilled with how the Uniting Church is responding to increasing cultural diversity. “I am most grateful to the Uniting Church for making all these statements and reiterating what is there theologically, to bring the cultures together to be one people, because we are the Body of Christ. “Different gifts we have been given to enhance the work of mission. I’m very excited for these things happening in the church,” she says. But measuring success is difficult, and points of friction between different cultural groups certainly exist, such as issues surrounding women in ministry and recognising the qualifications of overseas ministers. How does the Uniting Church know when it has “made it”? The process of moving from a dominantly Anglo church to a multicultural model is difficult and slow. Despite affirmative action measures, people from Cald backgrounds are still under-represented in most synod and Assembly councils. 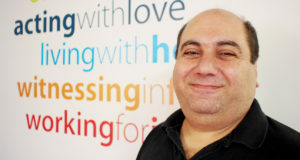 “I think the Uniting Church is trying,” says Terani. “I would like to see more of those gifted people in different cultures in committees and leadership groups. They need to be encouraged to be there,” she says. David is blunt in his challenge to Anglo churches: “White isn’t the culturally-neutral centre”. He believes that every church needs to recognise its own cultural framework, and be open to genuine input from people who are different. “To include other cultures does not mean we’ll just do what we’ve already been doing,” he says. “We can’t just have a Korean and a Fijian on church council acting like white people; in actual fact the way we actually talk about things needs to change. Progress is certainly being made, and as time passes multiculturalism is becoming part of Uniting Church DNA—literally. We are a Multicultural Church wasn’t the only move the Uniting Church made towards cross-cultural ministry that year. The 1985 Assembly also resolved to form the Uniting Aboriginal and Islander Christian Congress (UAICC). 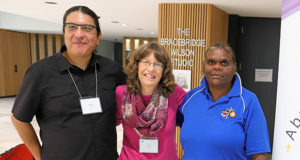 National UAICC chairperson Rev Dennis Corowa wants to be clear that while Aboriginal and Torres Strait Islander participation is vital to multiculturalism, the relationship Indigenous Australians have to this country is unique. Congress is within itself a multicultural body, composed of diverse Indigenous cultural and language groups. Dennis says there are parallels from which multicultural society can learn. “Historically, Aboriginal people have had their own areas and languages from different groups and how they related. They were able to do that—relate and to have that respect or relationship across their borders. If they were journeying to other places there is an interrelationship between groups to allow means for you to be cared for. “We all need to learn how to be interdependent again. That mode of selfishness might appear every now and then, but then—bang!—God keeps drawing us back. I think there’s a continued move in a very respectful way towards a multicultural society. To celebrate the 30th anniversary of We are a Multicultural Church, the Queensland Synod Multi–Cross Cultural Committee is hosting a forum to consider how to be a truly multicultural church, and a worship service to mark the anniversary. “Hopefully we’ll have a good turnout. Hopefully people will be praying for that particular day to remember that this statement is made for the good of the church,” says Terani Lima. 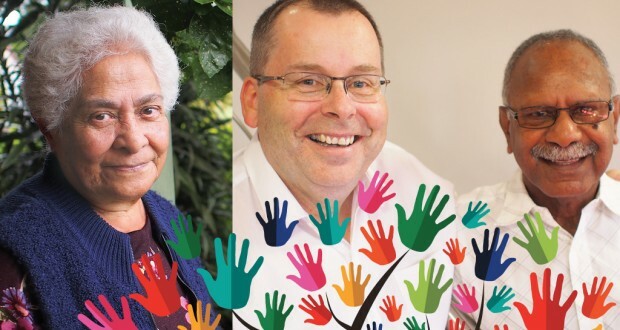 The 30th anniversary celebration of the We are a Multicultural Church statement is taking place Friday 19 June at Broadwater Road Uniting Church, with a forum to take place 9 am to 5 pm and a worship celebration between 7 pm and 9 pm.